New Jersey winters can be hard on your carpets. People track in dirt, snow, and even salt on their shoes, and it’s nearly impossible to keep all of that out of your home completely. Allowed to sit on the carpet for long periods of time, the salt and dirt will start to wear the fibers and cause permanent damage. Vacuuming regularly removes most of these contaminants, but steam cleaning will remove the residue. Your carpet will look better, smell great, and last longer when you make this investment. Steam cleaning uses water to force dirt out of fibers and refresh the rugs. You want the carpets to dry as quickly as possible after they’re cleaned. When the weather is mild, you can open the windows to help speed up the process and ensure that carpets dry quickly. If the weather is overly hot in the summer, then the air conditioner running will help pull the moisture out of the carpets and dry them more effectively. Professional cleaners have highly efficient machines that can remove most of the moisture, but faster drying of the residual moisture is always beneficial. The fall is going to return sooner than you think, and you want to be ready for the gatherings and parties that are right around the corner. If you like to entertain during football season, then your home will be ready with a clean carpet. If you’re preparing for decorating and winter parties, then you want your carpet to be clean and ready to go. This is one of the most exciting times of year for many people, and the clean carpet will help you get ready for anything on your calendar. 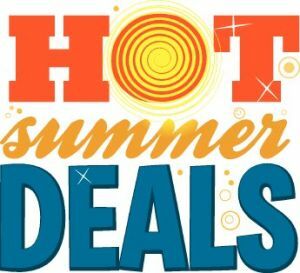 You can also find special deals on cleaning during the summer months and even into early fall. This helps you save money while preparing your home for the coming events. In addition to deals on carpet cleaning, you can also find special prices on upholstery cleaning to ensure that your entire home is ready. When you’re preparing for the changing seasons and the coming holidays, remember to give your carpets a special treatment. High Quality Carpet offers special summer deals on carpet cleaning to ensure that your carpets are clean and ready for your winter gatherings. Whether you’re hosting the weekly football parties or looking forward to a cookie exchange for Christmas, you can trust us to make sure your carpets are clean and beautiful ahead of time.